Have you ever heard the famous saying… everything is bigger in Texas? Well, Fort Hood is not exception! This base It is the largest active duty armored post int he United States Armed Forces. It is often called The Great Place because the quality of life offered on post is considered one of the best. Soldiers assigned to Fort Hood have new housing, quality medical care, thriving communities, great school system and various recreation opportunities available. Fort Hood covers a total of 340-square miles and supports multiple units, a corps headquarters and a robust mobilization mission. It also meets the training and support requirements for many smaller units and organizations, therefore maintaining a vital defense force for the United States of America. Fort Hood rests in the beautiful ‘hill and lake’ country of Central Texas between Killeen and Copperas Cove and is approximately 60 miles north of the capital city of Austin, 50 miles south of Waco, 160 miles south of Dallas, and 150 miles north of San Antonio. For everyone who enjoys the outdoors, The Great Place is the ideal location, because of warm winters and hot summers. The nearby lakes, Belton and Stillhouse, offer year round outdoor recreation activities. Fort Hood also captures the attention of the entertainment industry and is the frequent host of celebrities, entertainers and theatrical shows from national dance teams. There are also many opportunities to enjoy the Central Texas atmosphere at Fort Hood, as local talent is frequently performing at Fort Hood clubs. With all the current deployments, be sure to make the most of available down time at Fort Hood. 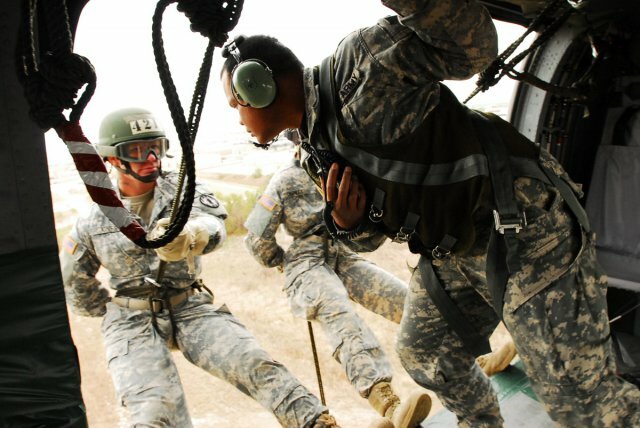 The Fort Hood experience is only limited by the individual. So, make the most of the time here! Sixty years ago minimum wage was 30 cents per hour, a gallon of gas cost 19 cents and there were only 48 stars on the American Flag. It was also sixty years ago that 108,000 acres of central Texas land was transformed from rural farming land into Camp Hood, home of the Tank destroyer Tactical and Firing Center. World War II was blazing and tank destroyers, mobile anti-tank guns on armored half-tracks, were developed to go against the Germans who were over running Europe. These destroyers needed space and the central Texas location could provide that needed space. The roughly 300 families that resided in the chosen area were relocated and replaced with nearly 38,000 troops. The number of soldiers multiplied until it peaked at almost 95,000 in less than one year’s time. A shift in Camp Hood’s mission brought about by the end of the war caused the number of soldiers to drop. Eight years after its official opening, Camp Hood became a permanent installation and was renamed Fort Hood. Fort Hood is now the largest active duty armored post in the U.S. Armed Services. It is home to two full divisions, 1st Cavalry Division and 4th Infantry Division (Mechanized). It also supports 12 additional units. There are about 41,000 soldiers who work on Fort Hood. The soldiers of Fort Hood are infantrymen, cavalrymen, and tankers. They are engineers, mechanics and health care professionals. They are the life of Fort Hood. Their training gives Fort Hood its purpose just as Camp Hood soldiers did 60 years ago. They are part of what has made Fort Hood “The Great Place” for six decades. The history of the Garrison Command goes back to the beginnings of Fort Hood when it was created as Camp Hood in 1942. The mission of the Garrison Command is to control the infrastructure that trains, maintains, sustains, and enables the combat units on post to project control element of the Garrison Command is Headquarters (Phantom) Command. The Directorates comprising the Garrison Command perform the daily but vital support missions. The Directorate of Logistics performs or oversees supply, transportation, general support maintenance beyond the 13th Support Command’s capability for all units. The Directorate of Public Works plans for new construction, administers housing on the installation, protects the environment, maintains existing buildings, roads and grounds. The Directorate of Community Activities performs all manner of Morale, Welfare, and Recreation functions that support soldiers and their families. The Directorate of Resource Management monitors the expenditure of funds for tenant units as well as the Directorates plus manages the size of the workforce. The Directorate of Contracting oversees the development, awarding, and execution of contracts for goods and services. The Garrison Chaplain administers the spiritual life programs ongoing installation wide. The installation Aviation Officer administers the airspace around Fort Hood as well as Hood Grey Army Airfield. The Directorate of Civilian Personnel performs all personnel management functions for the civilian workforce on Fort Hood. The Equal Employment Opportunity Office administers the Equal Opportunity program for civilian workers on Fort Hood. Local 1920 of the American Federation of Government Employees represents the civilian workforce on Fort Hood and is full and equal partner in Fort Hood’s Labor Partnership. The Army and Air Force Exchange is a tenant organization that supports over 200,000 soldiers, family members, and retirees with retail merchandise in 23 outlets on post while contributing directly top the Morale, Welfare, and Recreation Fund on Fort Hood. The Defense Commissary Agency is also a tenant organization that supports over 200,000 soldiers, family members, and retirees with groceries in two stores while contributing indirectly to the Morale, Welfare and Recreation Fund on Fort Hood. In 1994, Garrison Commands were designated as Brigade level Commands, to include the provision of the Garrison Colors. On 10 July 1996, marked the first time the Fort Hood Garrison Colors were passed to symbolize the change in Garrison Commanders. The Installation Management Agency (IMA), a single organization with seven regional offices worldwide, was implemented on Oct. 1, 2002, to reduce bureaucracy and apply a uniform business structure to manage U.S. Army installations. The agency, headquartered in Arlington, Va., oversees all facets of installation management, such as construction; family care; food management; environmental programs; well-being; logistics; public works and installation funding. The readiness and quality of life for the Army is dependent on installations. The installations are where Soldiers train for war; where Soldiers and their families establish homes and live; and where Soldiers depart for and return from contingency operations. III Corps’ colorful history dates from 1918 when the Corps served in World War I, winning battle streamers for the Aisne-Marne, Lorraine and the Meuse-Argone campaigns. Inactivated in 1919, the Corps was reactivated in 1940 to train combat divisions. During World War II the Corps was deployed to The European Theater of Operations and earned the name “Phantom Corps” by hitting the enemy when and least expected. It won campaign streamers in Northern and Central Europe and established the Remagen Bridgehead, enabling the Allies to secure a foothold in Germany. Inactivated in 1946, III Corps was reactivated in 1951 and served on active duty until 1959. Inactivated that year, it quickly returned to duty at Fort Hood during the Berlin Crisis in 1961. In 1962 III Corps was designated as part of the U.S. Army Strategic Army Corps. During the Vietnam conflict, III Corps trained and deployed two field force headquarters and many combat and combat service support units totaling more than 100,000 Soldiers. In recent years, III Corps forces have fought in and supported operations worldwide, to include Grenada , Panama , Honduras , Saudi Arabia , Kuwait , and Iraq. It has also provided humanitarian support for Operation Restore Hope in Somalia. III Corps elements provided support for Operation Joint Endeavor in Bosnia and Herzegovina as well. For many years, the primary focus of III Corps was the reinforcement of NATO. As the world and the U.S. Army have changed, III Corps has also changed and broadened it’s focus to be ready to deploy anywhere, anytime and win. III Corps major units comprise the 1st Cavalry Division and 4th Infantry Division; as well as the 3rd Armored Cavalry Regiment, the 3rd Armored Corps Artillery and the 13th Corps Support Command. Direct and coordinate installation garrison operations and training support activities while providing force protection, mobilization and demobilization / reserve component training support, force modernization, operational planning and emergency operations functions, in order to provide a focused training environment for III Corps and other mission customers.